Can I turn this into a treasure chest? 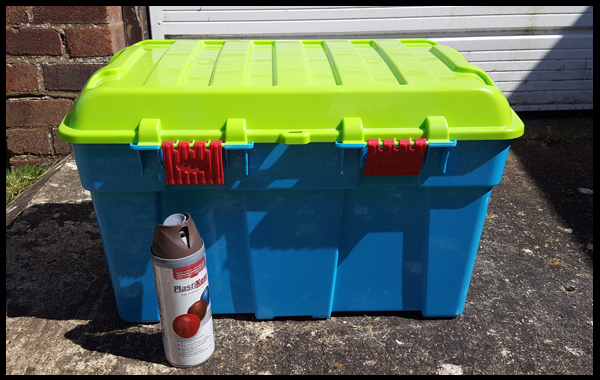 As my readers know I like to dabble in upcycling, craft projects, kids crafts and a bit of jewellery making... but this is my hobby, this is my pleasure, this is not my job. 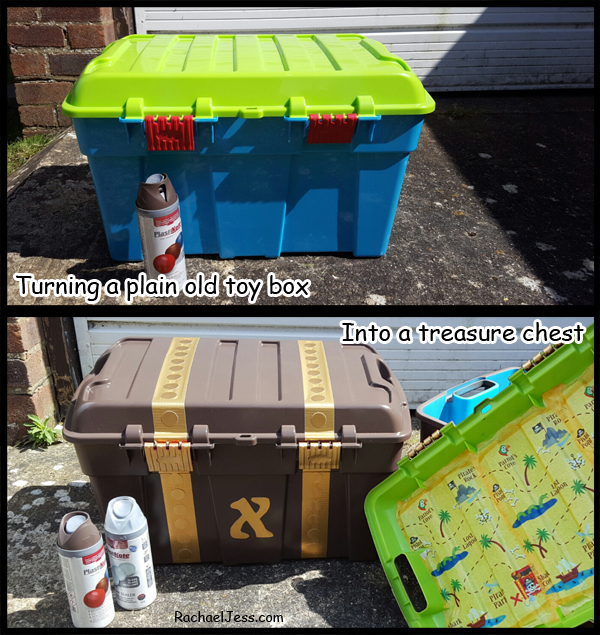 My friend asked me to turn her toy boxes into treasure chests!! But of course, I said yes! 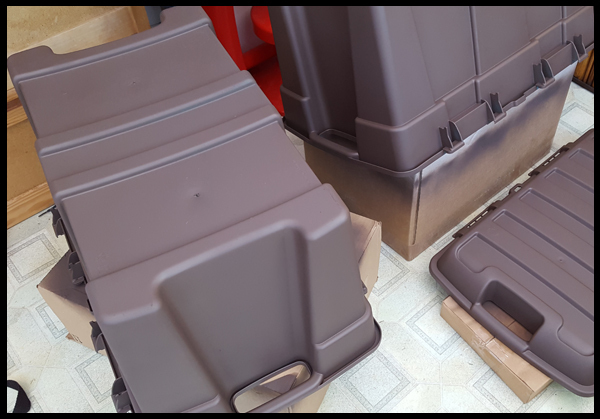 I am really pleased with how well the paint went on and covered the boxes. 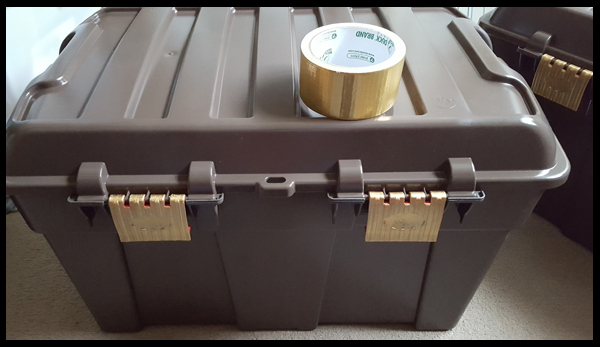 Whilst the toy boxes were drying I also painted the hinges gold. Can't have the hinges left red now! Those took 2 coats, with a paint brush no less (not much of a fan of the brush). 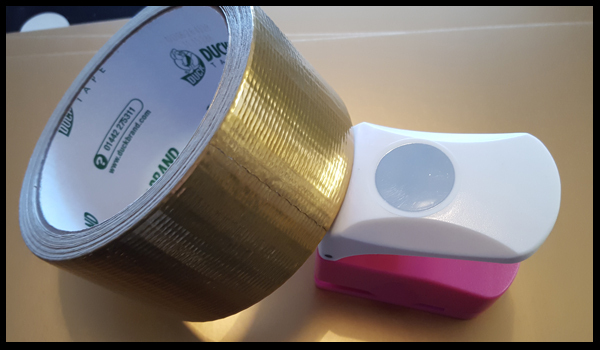 I cut out a lot of round card to be placed over the gold strips when ready. 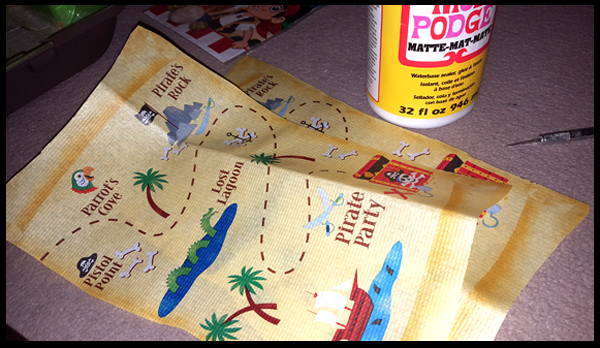 Once the lids were dry I added a treasure map on the inside of each, for this I used a paper tablecloth which had the pattern around the edge. I smothered it all in Mod Podge so it was hard wearing as these chests are going back to preschoolers! 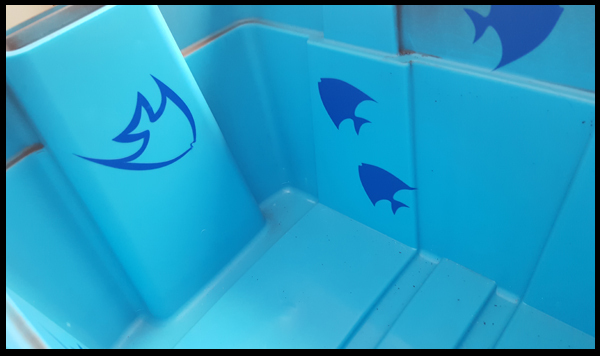 The inside of the boxes were blue so I added some fishes to make it an underground water scene. I picked up the vinyl for a couple of pound from eBay. 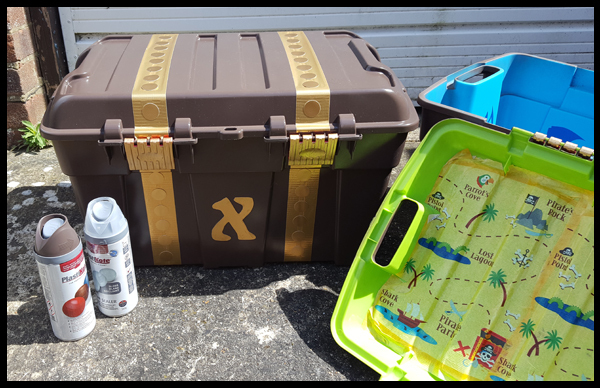 The final steps were to add the gold strips across both the base and lid of the toy boxes and add the small round card to decorate as bolts. I don't think I did too bad in the end, my friend seemed very pleased with them, and I'm sure her boys loved them as my son certainly did! 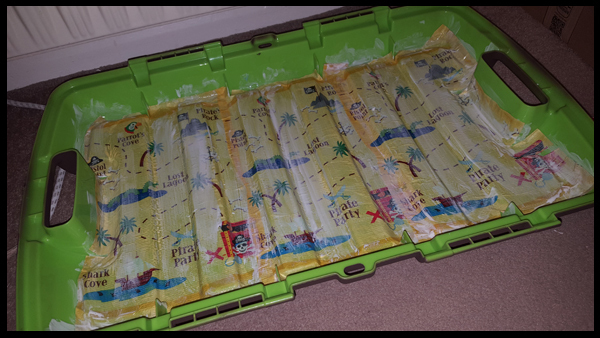 I love the idea of the maps on the inside of the lid and may use this idea when I decorate more toy boxes... because you know it's going to happen!